The World Vegetable Center welcomes all former staff, visiting scientists and trainees to join our Alumni Registry. Tell us where you are and what you have been doing -- we would love to know! 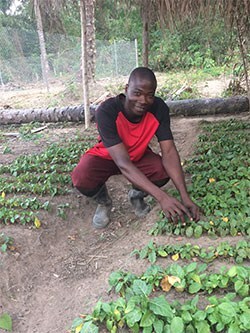 The Center will periodically honor its alumni with articles in Fresh, the World Vegetable Center newsletter, along with chances to receive commemorative gifts. Sign up today! Share a story or reminiscence about your WorldVeg days!